Both Google and Apple have started the long tease ahead of new software updates in Spring, with Android P and iOS 12 now available to users who are brave enough to take the plunge (and have a developer account, in Apple's case). So which beta software looks most promising and gets us most excited? Here's how they stack up. We should preface this by saying that these software updates are very much works-in-progress - they're by no means finished and are likely to gain and lose features over the next few months. With that in mind, we're going to stick to general impressions rather than a detailed screen-by-screen review. It's also worth pointing out that iOS just includes much more stuff, because Apple updates all its mobile apps at the same time (and macOS as well, of course). With Android updates, we're talking about the basic framework of the OS, as the likes of Gmail and Google Maps get their updates separately. 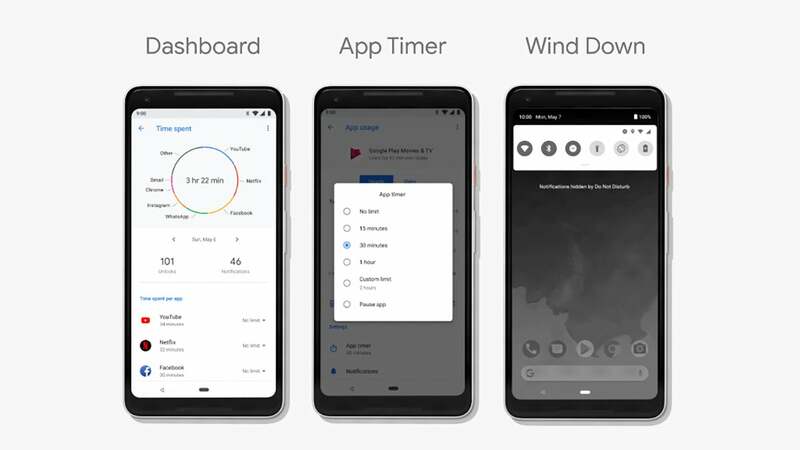 It's just about honours even here: Both iOS 12 and Android P are going to give you a colourful dashboard showing you how much time you're spending on your phone and which apps you're opening up the most. It's kind of a friendly, non-threatening look into your crippling smartphone addiction. The feature is slick and simple in the iOS 12 beta, and actually pretty useful. The time limits you can place on apps work well (something Android P will get too), and the way you can override them if you want to means you don't feel too oppressed. We haven't been able to test Google's implementation because it hasn't arrived in the Android P beta yet, but from the screenshots we've seen, and the details Google has revealed, it looks like it's going to match Apple's offering almost beat for beat. If you want to analyse or change your smartphone habits, both Android P and iOS 12 have you covered. 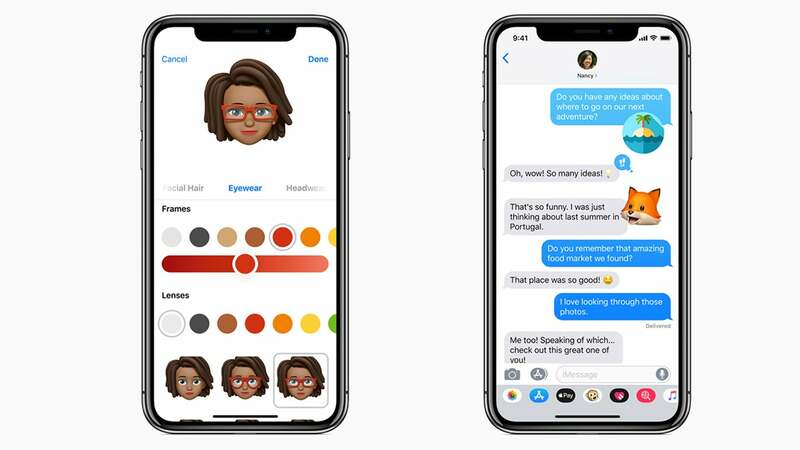 A clear win for Apple here, with the funky-looking Animoji and Memoji now getting beyond the gimmicky stage to something that's actually useful and fun (as long as you've got an iPhone X). FaceTime gets group calling as well, which will make a big difference. Google's messaging efforts remain mired in confusion. Once upon a time we thought Hangouts would be the one app to rule them all — a true cross-platform messenger that can do anything — but Google apparently doesn't agree, instead putting its efforts into the rather basic Android Messages and the doomed Allo. Of course you can group video chat and use emojis on Android, and iMessage remains very unfriendly to any devices not made by Apple. 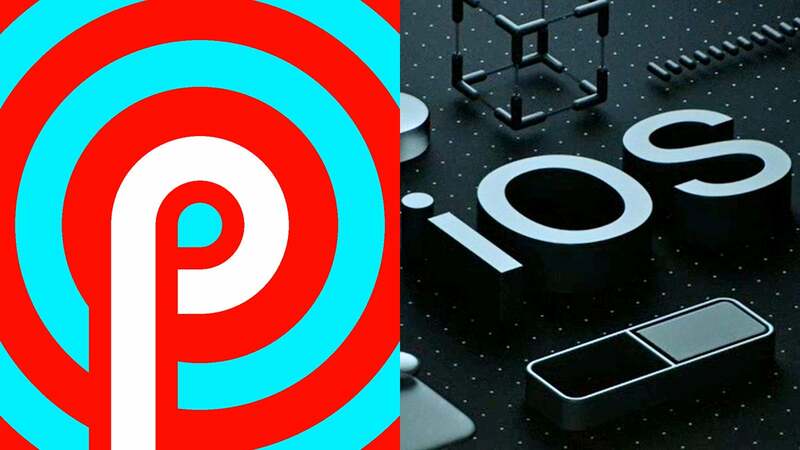 But based on Android P versus iOS 12, it's Apple that seems to be making strides forward in messaging — something we do every day — while Google doesn't seem to know where it's headed. Google has ARCore for Android, and while it will likely get updates separately from Android P, it seems to be playing catch-up at the moment. 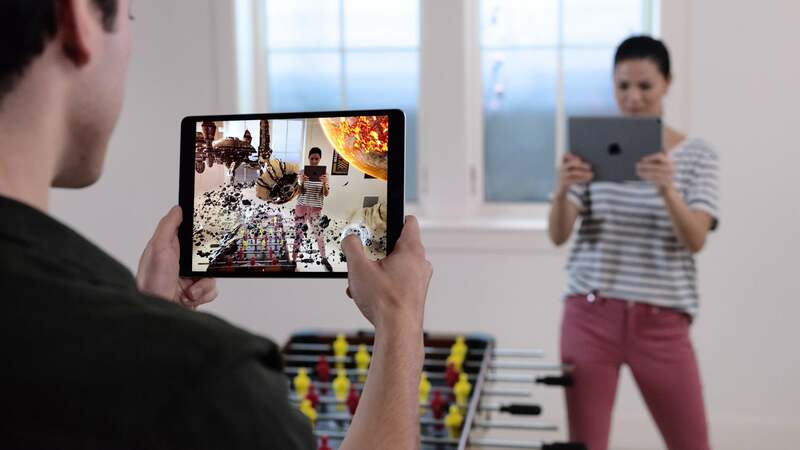 If you want to play around with AR and AR apps on your device, iOS is the place to be right now — and Apple's much better record at getting a big chunk of its users running the latest software helps here too. But Google does seem to have one really killer feature. Google demoed Google Maps in AR at I/O 2018, which makes it easier to understand directions at street level by displaying arrows and directions on the screen over the world you're actually seeing. It certainly has us interested though — maybe it's in the individual apps Google has where it's going to be able to claw back some ground. 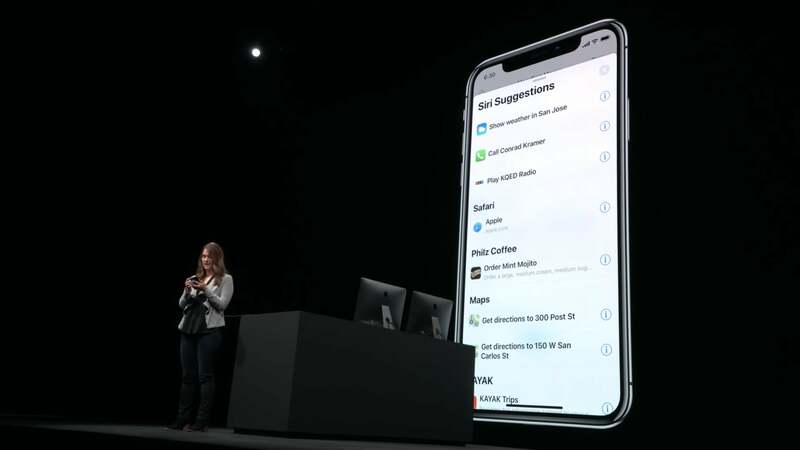 It's probably safe to say Google is winning this particular battle in a broader sense, but as far as new features coming this fall are concerned, the new Siri Shortcuts, a way of distilling a bunch of actions into one voice command that Siri will act on, look very good. We'll have to wait and see how it works in practice, and whether users will take the time to program their own shortcuts, but from what we've seen we're eager to try it out! Google Assistant has something similar with Routines, but they're not quite as slick as the new Siri features appear to be (they're not yet available to test, at least outside of Workflow). That really extends to Siri and Google Assistant more widely. 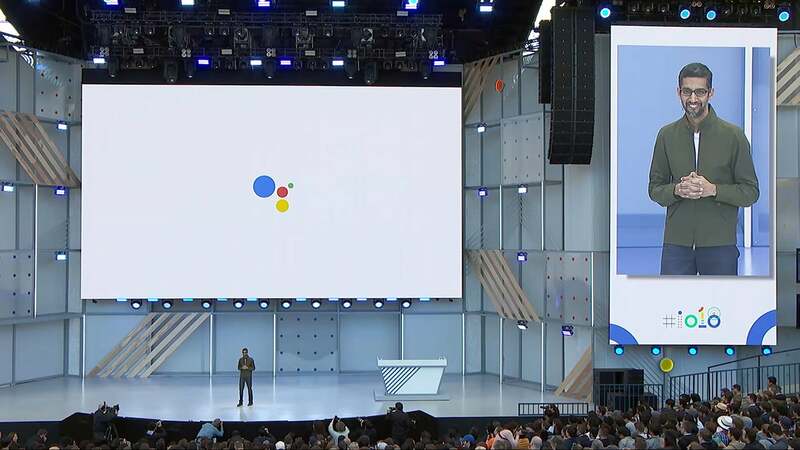 If the future of the smartphone is as a device that acts as an intelligent personal assistant that doesn't need any hand-holding, then Google seems to be getting there faster. Yet terms of specific new stuff coming to Android P and iOS 12...it's iOS that has more to offer. Apple continues to emphasise how Siri keeps your data and personalizations locked on your device and not in the cloud, and privacy is a big differentiator here. For now though, we're concentrating on Android P and iOS 12 rather than all the wider considerations. 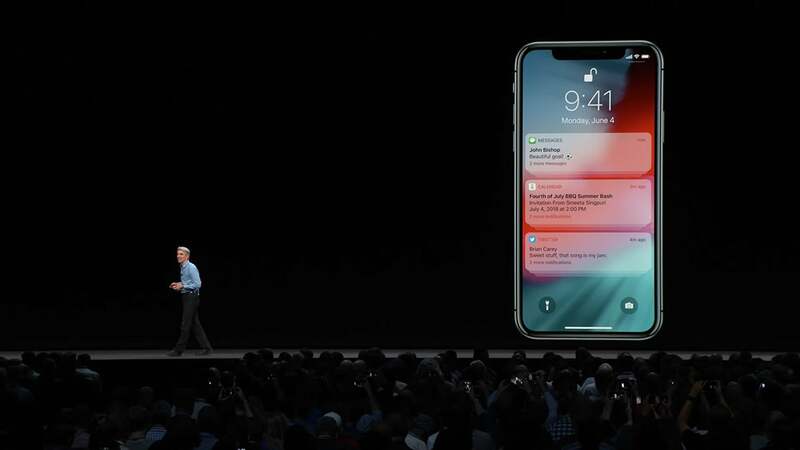 Overall, we'd say Apple users have got more to look forward to with this year's big software update — and they're certainly more likely to get it in a timely fashion. That's partly down to the way Google updates its apps separately to Android, as we've already mentioned, but our verdict still stands. One of the last major issues with iOS is going away as Apple finally groups together notifications, and we also like the improved password management — iOS will even warn you if you're using the same password for too many services. The battery screen is getting a much-needed revamp too, with more detail. Even all the major new features like Screen Time and Memoji appear to work really well even at this early stage. If Apple Photos catches up to Google Photos a little more, and you've got the regular round of minor tweaks to the iOS apps too. But over on the Google side of the fence, there's lot of promise still. 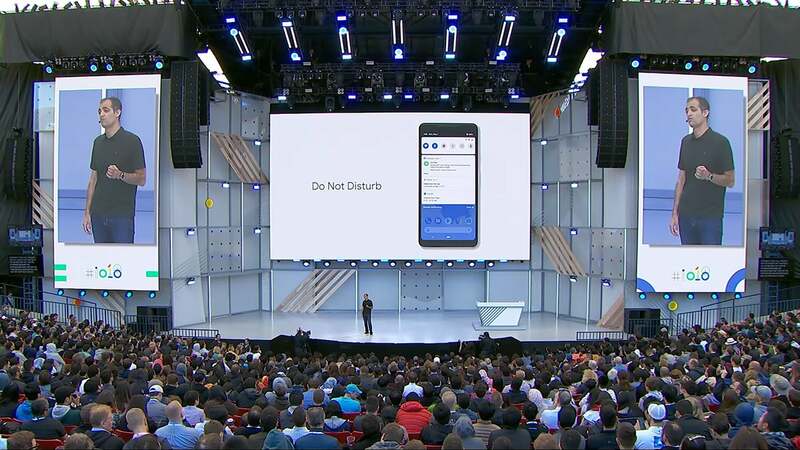 The more intelligent Do Not Disturb options are some of the key highlights, and with Google's track record we're expecting features like app limits and bedtime restrictions to work a little more intuitively than Apple's implementations. These two mobile OSes have now borrowed so much from each other over the years that we're past the stage where one is likely to unveil a major new feature that will have everyone making the switch. That story will continue in 2018, with a lot of the same sort of upgrades coming to Android and iOS this time around. At the same time, the choice between Android and iOS still very much matters, because of issues around privacy, ecosystem, compatibility and security. Android P and iOS 12 don't shift the needle on those issues too much, but out of the two it's the Apple software update that we're looking forward to most.